Dr. Hea-Kyung Kwon is an experienced psychotherapist with more than 17 years of experience in helping people deal with their anxiety, depression and relationship issues. She works with individuals, couples, and groups in an office in New York City and an office in New Jersey. She received her doctorate from New York University and her Certificate in Psychoanalysis from the National Institute for the Psychotherapies in New York City. 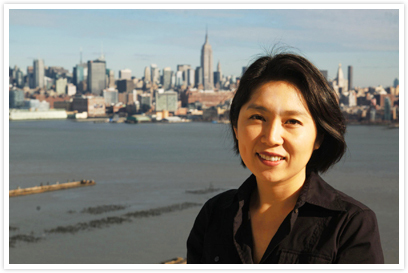 Currently she is an adjunct faculty member and supervisor at New York University and a founding faculty member and clinical supervisor of Postgraduate Institute for Psychoanalysis in Seoul, Korea. When you are seeking therapy, finding the right therapist is the first and most important step. With the right therapist, you feel understood and safe to explore difficult issues. I am a warm and empathic listener who can help you gain insight into your life and give you tools to regain control. I received my doctorate from New York University and training in Psychoanalysis at the National Institute for Psychotherapies in NYC. Currently I am an adjunct faculty member & supervisor at NYU and a founding faculty member and clinical supervisor of Postgraduate Institute for Psychiatry & Psychoanalysis in Seoul, Korea. I have more than seventeen years of experience in helping people deal with anxiety, depression, and relationship issues. I am particularly sensitive to multi-cultural issues. As an immigrant, I know what it feels like not to be understood and the feelings of alienation. I use my life experience to understand my clients. I am a Licensed Psychoanalyst as well as a Creative Arts Therapist. I focus on both verbal and nonverbal communication, and bridging the gap between the two. I take a contemporary psychodynamic-integrative approach, blending Contemporary Self Psychology and Relational Theory. Also, I am familiar with traditional psychoanalysis, object relational theory and trauma focused therapy informed by brain research (EMDR, IFS, AEDP). Depending on my client's issues and needs, I can provide a wide range of therapies from supportive psychotherapy to reconstructive in-depth psychoanalysis.